eyesofgaia.com - Whats up with GE / GMOs? Their release is 'genetic pollution' and is a major threat because GMOs cannot be recalled once released into the environment. Because of commercial interests, the public is being denied the right to know about GE ingredients in the food chain, and therefore losing the right to avoid them despite the presence of labelling laws in certain countries. Biological diversity must be protected and respected as the global heritage of humankind, and one of our world's fundamental keys to survival. Governments are attempting to address the threat of GE with international regulations such as the Biosafety Protocol. Maybe animals know something we don't as they they refuse to eat GE food if given the choice but 1000's have now died after eating it. GMOs should not be released into the environment since there is not an adequate scientific understanding of their impact on the environment and human health. We advocate immediate interim measures such as labeling of GE ingredients, and the segregation of genetically engineered crops and seeds from conventional ones. We also oppose all patents on plants, animals and humans, as well as patents on their genes. Life is not an industrial commodity. When we force life forms and our world's food supply to conform to human economic models rather than their natural ones, we do so at our own peril. Most hungry people live in countries that have food surpluses rather than deficits. According to the UN Food and Agriculture Organisation (FAO), we are already producing one and a half times the amount of food needed to provide everyone in the world with an adequate and nutritious diet, yet one in seven people is suffering from hunger. Rather than growing food to meet the needs of local communities for a healthy, diverse diet, industrial agriculture produces crops to sell on world markets. While world crop production has trebled since the 1950s, more people go hungry now than 20 years ago. Small family farmers are driven off their land and local people cannot afford to buy what is grown. Too often, the result is a downward spiral of environmental destruction, poverty and hunger. 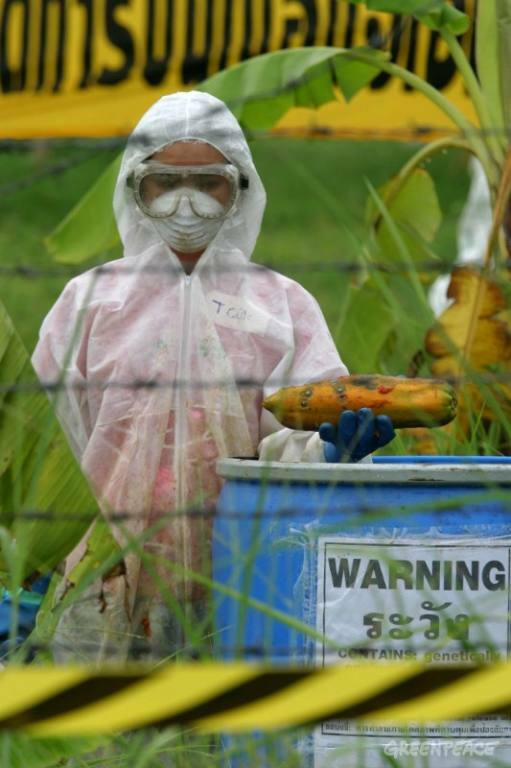 Food security will not be achieved by technical fixes, like genetic engineering (GE). People who need to eat need access to land on which to grow food or money with which to buy food. Technological 'solutions' like GE mask the real social, political, economic and environmental problems responsible for hunger. The case of Argentina, the number two producer of GE crops in the world and the only developing country growing GE food crops on a large commercial scale, shows that GE does not lead to an increase in food security. Millions of tons of GE soya are exported every year from Argentina for cattle feed, while millions of Argentineans go hungry. The introduction of genetically engineered (GE) organisms into the complex ecosystems of our environment is a dangerous global experiment with nature and evolution. Why is Monsanto top on my hit list of evil corporations? 125,000 Indian farmers have committed suicide because of Monsanto's BT COTTON. Stop the demand for it, if noone is buying there is no economic value. Avoid all processed food products and buy only fresh, locally grown, organic foods. Watch expert Jeffrey M. Smith, author of Seeds of Deception speak on Everything you need to know about GE. 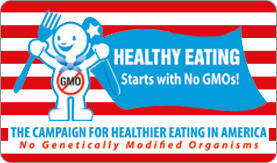 Visit these website for more info on Monsanto and GM FOODS.